There are tons of non-skiing activities to do in Breckenridge however, hiking might not come to mind. Many of Breckenridge’s summer trails are perfect to hike in the winter and are packed out all season long! 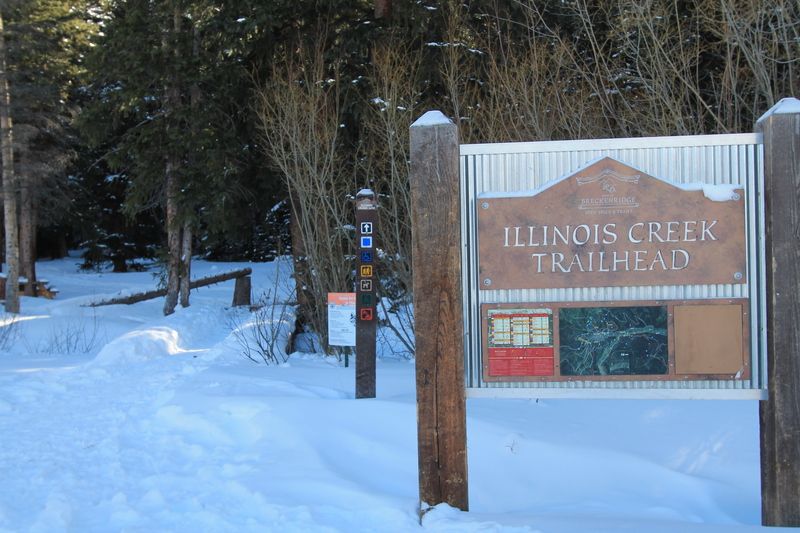 These trails don’t require the extra effort of snow shoes, or skins either; slip on your favorite winter boots and hit these top hiking trails in Breckenridge! Carter Park is a hit all year long. The famous tubing hill is located at the park as well as the dog park. 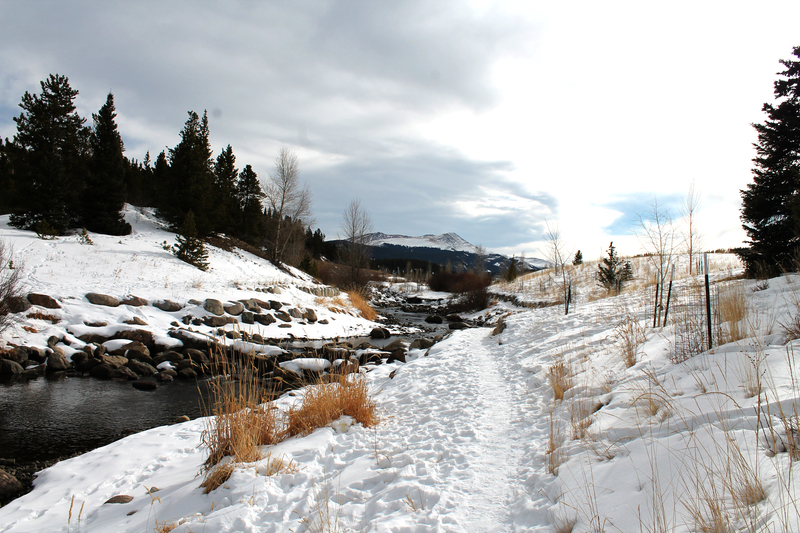 However, just beyond the tubing hill is a great hiking trail for you and even your furry ones! Normally known for its downhill biking, this trail transforms into the perfect hiking trail in the winter. Take the ridge back for a more mild incline or brave the steps directly to the top of the hill and continue on the venture to one of these connecting trails! This trail has a steady, very mild incline throughout the path and is about 2 miles long. The full hike takes a round trip of about an hour. This trail is very packed out so any warm snow shoe will do! From the top of Carter Park take Hermit Placer trail for a shorter less intense, second half of a hike. This trail is flat and connects to Jacks Cruel Joke. Connect to Jacks Cruel Joke from Hermit Placer for a longer trail. This trail has a harsh grade so make sure you have good traction on your winter boots. This path is most known in the summer for an easy biking trail for the entire family. Nonetheless, in the winter the trail is free of bikers and stands as a great, easy trail to walk in the winter. Go as far as Frisco if you are feeling adventurous or stroll down the path parallel to the Blue River for a tranquil hike. A great place to start this trail is to park on main street and walk along the trail to as far you would like to go. This hidden trail starts at the bottom of the Ice skating Rink parking lot (on the far end). This is a great scenic trail through the trees. There are parts of incline however, this trail is ranked as a moderate incline trail. Make sure to dress warm, this trail is hidden in the shade for the most part. Take the trail all the way to Aspen Alley and overlook the mountain scenery from the top! The trail to the top! Boreas Pass is a great hike to explore in the winter. This trails hikes all the way up the peaks on the other side of town. As stated in the name, Boreas Pass is also a road during the summer which makes a great packed out trail to hike in the winter. The endless valleys and mountains surrounding this hike offer an endless array of scenery. 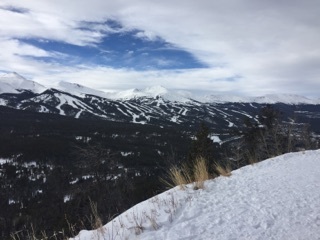 Whether you are taking a day off the ski hill, looking for a new adventure, or are just aching to get outside, these popular Breckenridge hikes are sure to get your legs moving. Happy New Year! 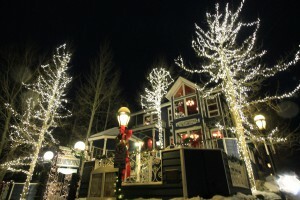 If you will be joining us in Breckenridge to ring in the New Year, take some time to check out these activities and events going on this weekend! Happy New Year! 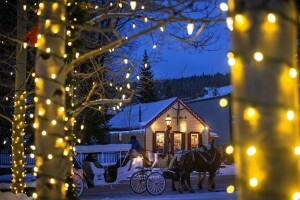 Give yourself a gift this year, and click below for the best deals on lodging during the holiday season in Breckenridge. Holiday season is upon us. That means friendly gatherings, parties, and spending quality time with the ones you love! What better way to unwind than mixing up a festive cocktail and catching up with friends and family by the fire while the snow falls (and it is falling!). 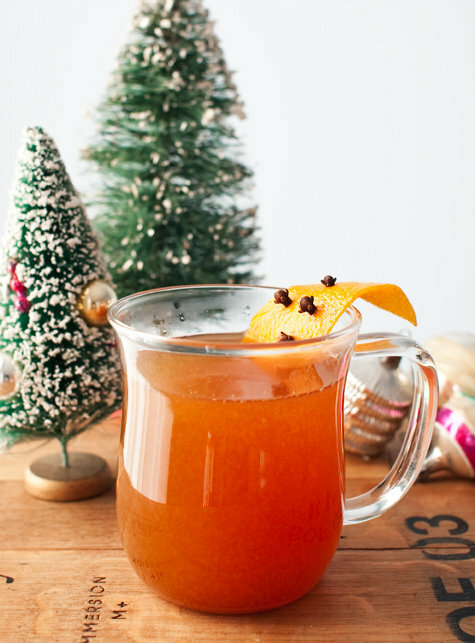 Hot or cold, bourbon or vodka, cider or eggnog we’ve compiled a list of some of our favorite holiday libations. Preparation: In a large saucepan, heat milk over medium heat until bubbles form around sides of pan. Add cocoa mix; whisk until blended. Add espresso and heat through. Remove from heat; stir in liqueur. If desired, serve with whipped cream. Preparation: Mix gin or vodka, cranberry juice, simple syrup and ginger beer in a copper mug over ice. Garnish with your rosemary sprig, orange slice and a few sugared cranberries on a toothpick. Voila! Holiday forest in a copper mug. Employee submission by Jenna Fickenscher. Preparation: Place egg whites in the bowl of a stand mixer and whisk on low speed until frothy (about 30 seconds). Increase speed to medium-high and carefully beat until egg whites are about the consistency of shaving cream (about 90 seconds). Reduce speed to medium. With mixer running, add half of maple syrup and beat until incorporated, about 30 seconds. Transfer whites to a large bowl. Do not wash bowl. Add egg yolks and remaining syrup to now-empty stand mixer bowl and beat at medium-high speed until pale yellow and ribbony, shutting off machine and scraping down sides with a rubber spatula as necessary, about 2 minutes total. Add milk, cream, and Breckenridge Bourbon and mix on low speed to combine. Using a rubber spatula or handheld whisk, fold the whipped whites into the egg yolk/milk mixture until completely incorporated. Serve by ladling into goblets and garnishing with a bacon strip. Preparation: In a large dutch oven or crock pot, bring all of the ingredients to a low boil. Reduce heat and allow to simmer for a couple of hours. Serve hot; spike with bourbon/whiskey if desires. Garnish with whole cinnamon sticks. Preparation: Using an electric mixer, beat the brown sugar, butter, honey, cinnamon, nutmeg, cloves, and salt in a medium bowl until blended and smooth. Transfer the mixture to a 4-cup or larger measuring cup. Add the rum and then 2 cups of boiling water. Stir until the butter mixture dissolves. Divide the buttered rum among 4 mugs. Garnish with the cinnamon sticks and serve. Preparation: Shake all ingredients with ice and strain into a chilled martini glass. Garnish with fresh cranberries or orange zest twist. Employee submission by Kimberly Tramontana. So there you have it. Are any of these cocktails on your favorite holiday list? If not, we’d love to hear from you! What’s your favorite festive drink over the holidays? Share a photo of your specialty cocktail with us on Instagram using #BestOfBreck! Happy Holidays from all of us here at Best of Breckenridge! Wishing you a safe and Happy New Year! While everyone is scrambling to find last minute gifts and fighting holiday traffic at shopping malls, you’re packing your bags to head to the mountains to deck the halls in style. Congratulations! You’re in for some serious fun, and the BOB staff is here to ensure that you make the most out of the winter wonderland known as Breckenridge. Below, we have listed our favorite local festivities to help you celebrate the yuletide like never before. A Christmas Story at the Riverwalk: Grab your family and head downtown to the Riverwalk Center at 150 West Adams Avenue to see the classic holiday film, A Christmas Story. View show times and save some money by booking tickets in advance here. Screenings are taking place now and will continue through Wednesday, December 30th. Make sure to check out the family four pack deals offered, by clicking on the link above or calling the box office at (970) 453-0199. Christmas Eve church services: Just because you are on vacation doesn’t mean that you can’t continue some holiday traditions. Breckenridge has many churches hosting Christmas and Christmas Eve services. 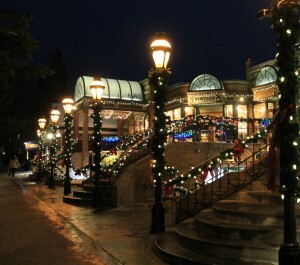 When the service is done, take the family on a stroll through over the bridge towards Main Street to view the Christmas lights. Parents, treat yourself to a free sample at the Tasting Room while the kids gaze at the illuminated trees and play on the park. Crafts at the Breckenridge Arts District: The kids will love the impressionist waterscapes and paper towel art workshops taking place on Tuesday, December 29th at the Quandary Antiques Cabin. On Wednesday, December 30th, let your little ones tap into their creative side with the winter tee shirt making and expressive animal mono-print workshops also at the Quandary Antiques Cabin. For more details, click here. Who knows, you might just have a Picasso waiting to be discovered! Ice Skating: Aside from their closure on Christmas Day, the Stephen C. West Ice Arena will offer public skating hours for the whole family this week and next! Rentals are available on site, but bring your own skates to save a few bucks. More information can be found here. Multi-day passes are available if you foresee yourselves returning. On your way out of the arena, take a jaunt down to the historic Engine No. 9 on your left as you walk back to Main Street. Sledding: After you get the clan bundled up, head over to Carter Park to experience the ultimate sledding spot in town. Bring some sleds, hot cocoa (maybe some Baileys, too) and enjoy watching the kiddos zoom down this spacious hill while you relax on the picnic tables at the bottom. But, why should the kids have all of the fun? Let your inner child out and join in on a sled. 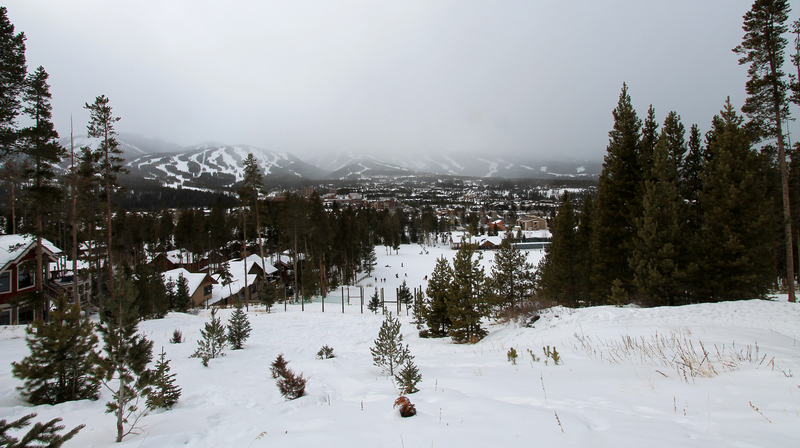 The thrill of the ride isn’t the only thing that will leave you breathless; this park is known for some of the most stunning views of Breckenridge in town. Well, what are you waiting for? It’s time to change into your most ridiculous Holiday sweater, grab your winter boots and gloves, hop in that car and get to Breckenridge. We will meet you at the top of the Carter Park hill for a sled race! Loser has to provide the hot cocoa. The BOB staff would like to wish each and every one of you safe and happy holidays with your loved ones, from our family to yours! Happy holidays from our family to yours! If you are spending the holidays in Breckenridge with us this year, take some time to check out these activities and events going on this weekend! Give yourself a gift this year, and click below for the best deals on lodging during the holiday season in Breck. Happy holidays!